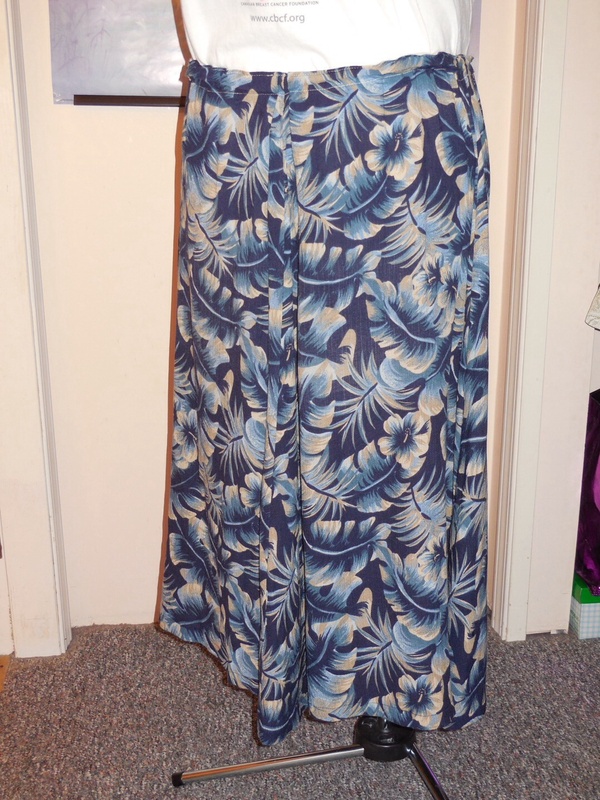 Me-Made-May’14 (2nd post) – Nice dress! Thanks, I made it!! 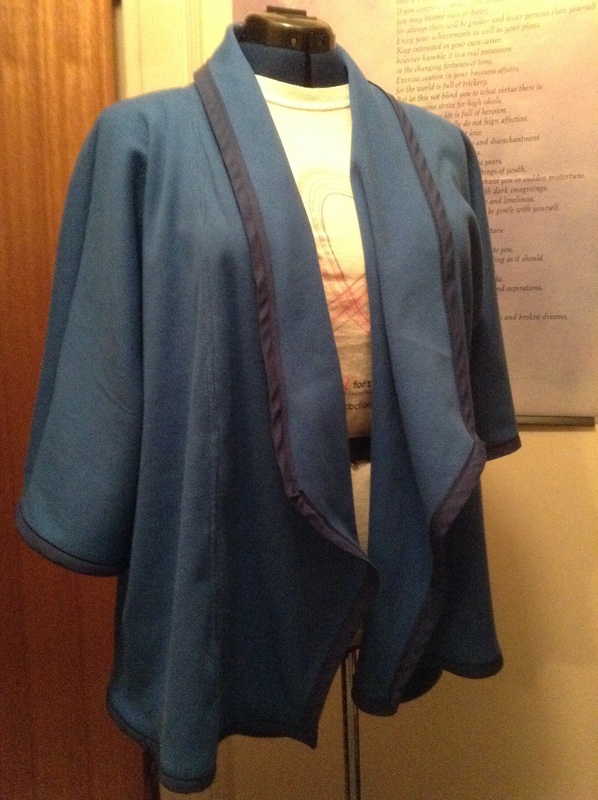 To recap my first MMMay’14 post, so far, missing in my hand made wardrobe and now on the “To Do” list is … jeans. Let’s see what is next then, shall we? Tuesday, May 6 – this is an “old sew”. I can’t remember when I sewed it up, but I still love it. It’s a light material with a full skirt that you can twirl around in! 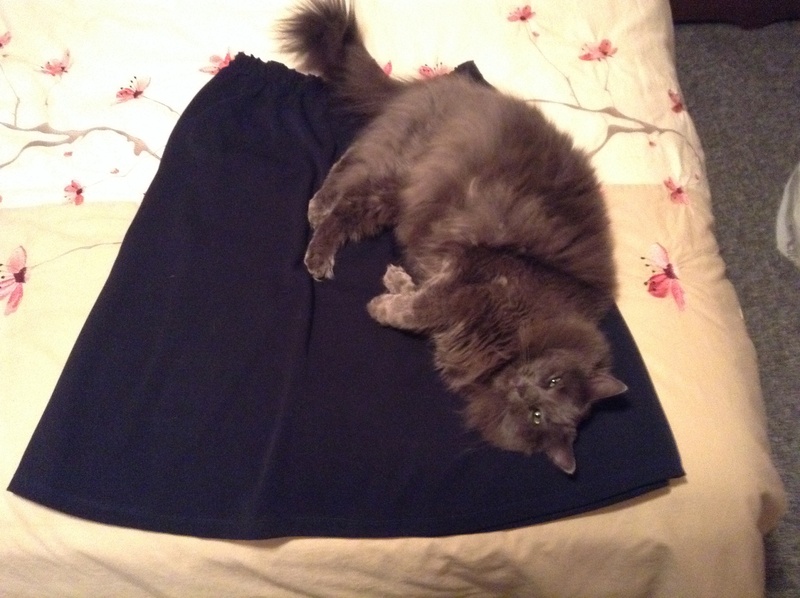 Wednesday, May 7 – You’ve seen this navy blue skirt before – the one under Simon. 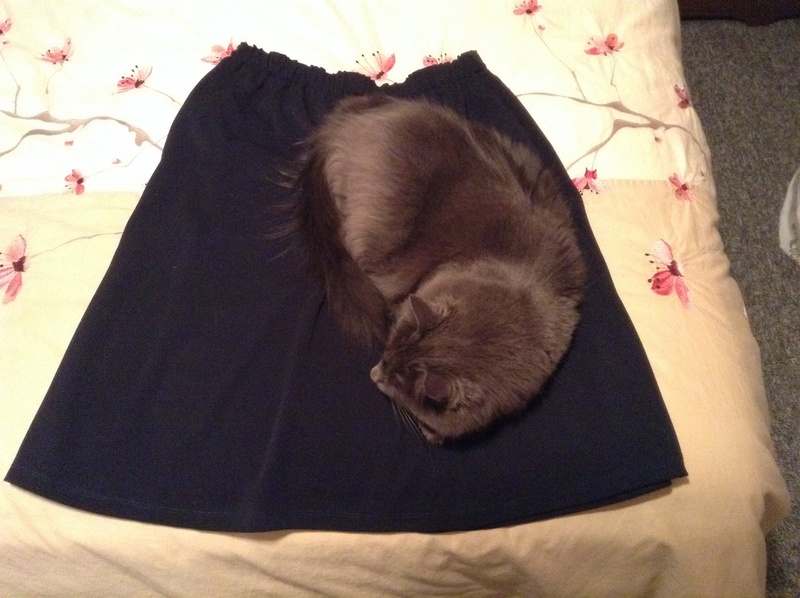 (As usual I spread out the skirt, turned to get the camera, and this is what I came back to!). The weather is still nice here so skirts and tops are a great choice. But I hear the rain is coming again. Oh, and the evening only got better from here because then Simon did this…..
And then he rolled and stretched some more and fell off the bed! Thursday, May 8 – The rain did come! So it was pants today – no dresses – I don’t like being cold! 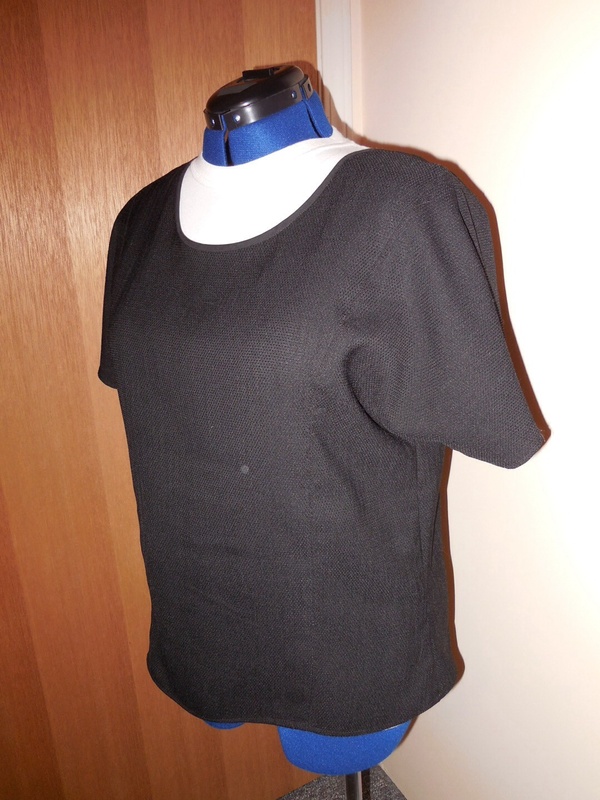 I did wear another “old sew” though, this top. I made it out of a cotton blend fabric a while ago. Friday, May 9 (Jeans Day at work) – nothing exciting here, jeans and hand sewn T’s – already posted about last Friday. Looks Friday is always going to be a repeat of some sort! Coming up… Saturday, May 10 & Sunday, May 11 – the Mom Uniform Days. I already posted about this last week so no bother repeating it here! Love reading and seeing all your wonderful “me mades” out there! That first cardigan/blazer looks great and seems very comfortable. I’d totally buy it if i see it in the store. Great work! My cat always does that too (including rolling off the bed)! 🙂 Great range of garments here for MMM! They are fun though aren’t they? Thank you! Oh, cats…they have a way of looking like they’ve been there all along despite having plopped down only seconds before, don’t they? =) Looks like you’ve got some great wardrobe staples here; I especially like your cardigan! Thank you! It was a easy pattern. I am thinking of making another. It is a nice change from the usual sweater too! Well I want to see you twirl in that flowing skirt…in your boss’s office! 🙂 All kidding aside, the skirt is very pretty. Thank you! The old boss probably could have been tricked with a line like “I’m practicing for The Sound of Music”! The new one would probably just ignore me and ask me for a file! Love the skirts! Keep it up!